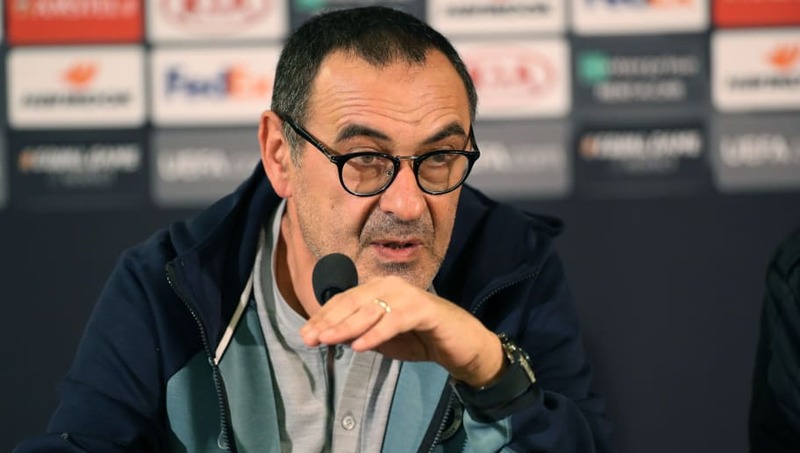 ​Chelsea manager Maurizio Sarri may have to win the Europa League this season in order to save his job at Stamford Bridge after what has so far been a difficult first year at the club. Chelsea are set to face Swedish club Malmo in the last 32 first leg of the Europa League on Thursday night and Sarri has admitted that he, the staff and the players talked for 'one hour' the day after being thumped 6-0 by Manchester City last weekend, which the report labels as 'crisis talks'. "We talked all together for one hour the day after the match. I think that it's better to work, better to react on the pitch," the Italian is quoted as saying by the newspaper. "It's not easy to play on Thursday after a 6-0, but we have to play and we have to play well. We want to win. In my opinion, the last game was not a problem of motivation. "We need to have short-term targets. [Thursday], the target is to qualify or have a good result," Sarri said. "On Monday, the target will be to get into the quarter-finals. Then to win the League Cup. We need short-term targets and then a dream in the long-term."